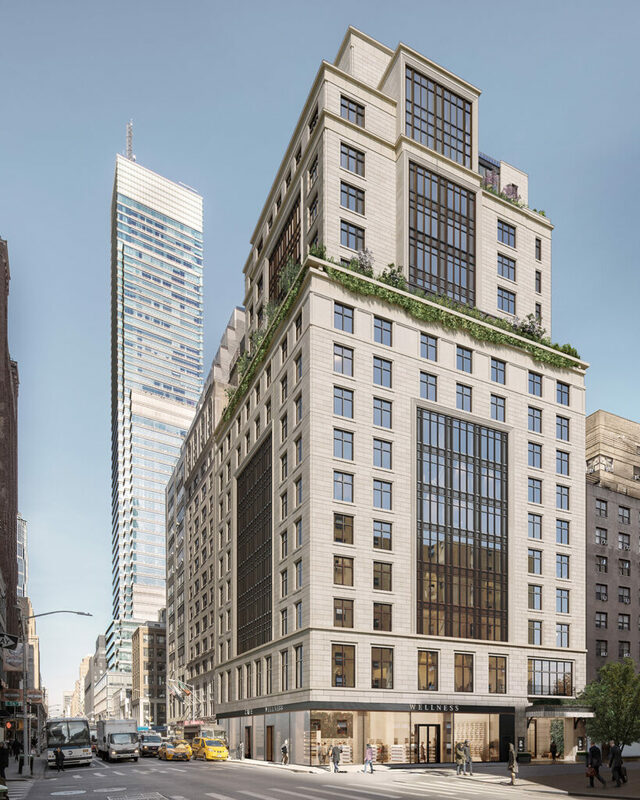 Mason Industries Inc. has been brought in by Hunter Roberts Construction Group to engineer and manufacture Vibration Isolation systems to isolate the new sixteen story Sunrise at East 56Th St. on the corner of Lexington Ave. The sixteen-story assisted living center sits next to the Lexington Ave subway tunnel and will be isolated from sound and vibration. The Sunrise At E. 56th St. is located in Manhattan, NY includes Architect: SLCE Architects, LLP, Structural Engineer: Thornton Tomasetti and Acoustical Consultants: Cerami & Associates. Developers: Hines and Welltower Inc.
Mason Industries designed and manufactured a Natural Rubber Building Vibration Isolation system that included vertical column load bearings and horizontal Shear Pins built into the perimeter shear walls to accept the wind and seismic lateral loads. Vibration isolation systems for all the Mechanical, Plumbing, Electrical, emergency generators, and fire protection systems. Vibration isolation systems for all the elevators. Wall isolation systems for all walls that cross the isolation plane of the building.